We describe many composers on mfiles as having been child prodigies, but how else would you describe someone who entered the Paris Conservatory at 9 years of age, studying with Nadia Boulanger. Michel Legrand's musical inclinations were always towards song-writing and he was a singer himself. Following the success of his first album "I Love Paris" he went on to work with many of the great Jazz names such as Miles Davis and John Coltrane on his next album "Legrand Jazz". When he moved into film work, it was no surprise that he was able to bring these skills into play not only in writing movie songs but also in composing orchestral material with a strong lyrical feel. 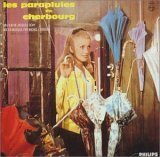 In "Les Parapluies de Cherbourg" all the dialogue is actually sung in this unusual film (and it was the first French musical to be shot in colour). Many of his films are French language ones (e.g. some from director Jean-Luc Godard) but there are also a number of well-known English language movies such as "The Thomas Crown Affair" (with its theme "The Windmills of Your Mind"), "Summer of '42" and "Yentl" with Barbra Streisand. 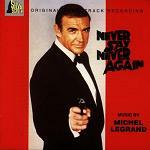 Yet despite this particular focus to his career, Legrand also created a number of instrumental film scores such as "Ice Station Zebra", a cold war thriller based on an Alistair MacLean novel. This has a theme suggesting a great seafaring adventure but quite a lot of unconventional material too. The film uses a lot of extreme almost alien environments (in the submarine, on the ice, beneath the ice and satellite shots from space) and the music depicts these strange locations and uses this material to heighten the suspense and drama among the cast of spies and military men. Although he has been less active lately as a film composer, Michel Legrand regularly performs in concert halls and jazz clubs across the globe, and 2008 saw the premiere in London of "Marguerite", Legrand's new stage musical created with the help of Alain Boublil and Claude-Michel Schönberg (who also created "Les Misérables" and "Miss Saigon"). This musical is based on Dumas' novel "La Dame aux Camélias". The composer is now 80 years old (like John Williams) and is reported to be working on a new movie called "Max Rose". 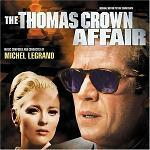 Legrand's jazz scoring for the famous chess scene in "The Thomas Crown Affair" is absolutely masterful, so it is only right that we include the full scene from youtube: Chess Scene from The Thomas Crown Affair. 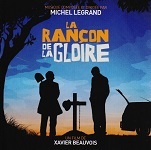 Despite our comment that the composer was apparently slowing down at least in terms of film scores, Legrand seemingly came out of retirement in 2014 (now well into his 80s) to score the French film "La rançon de la gloire" a comedy whose title translates as "The Price of Fame". This score will have a CD release in February 2015 - see the recommendations section below for details. And now in 2017 soon after the composer's 85th birthday John Caps has penned this interesting overview and collection of anecdates, observing that the composer is very much still active with other music projects: Michel Legrand is 85. It is with deep regret that we report the death of Michel Legrand, a few weeks prior to what would have been his 87th birthday. The author John Caps who wrote the above article in Legrand's 85th year has penned the following Michel Legrand Obituary. The Thomas Crown Affair - with the aforementioned "Windmills of Your Mind" winning the best song Oscar and illustrating the cycle of complex machinations. 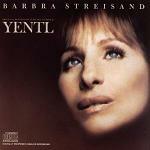 Bill Conti scored the remake.